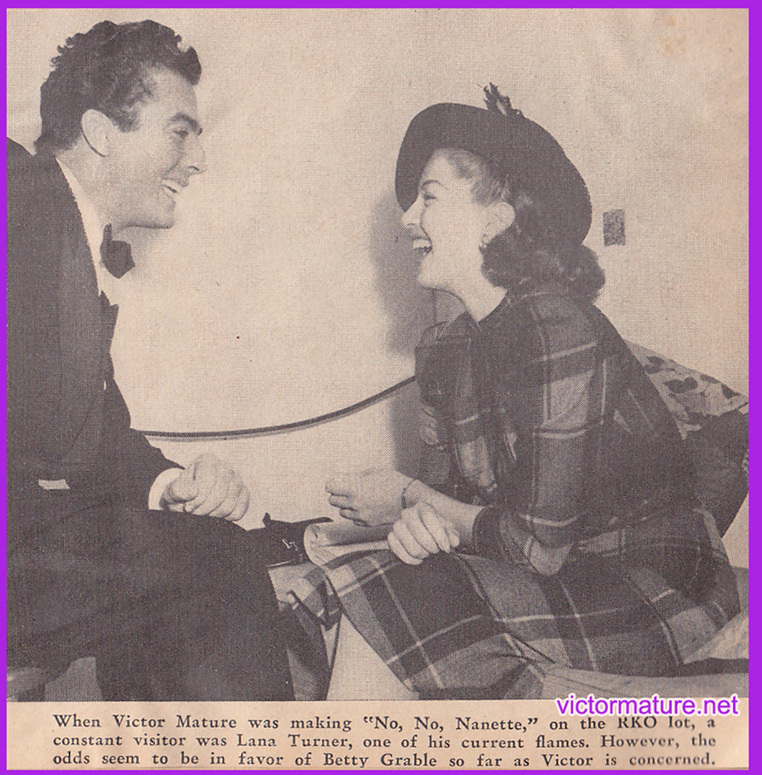 NEWEST UPDATE: 11 April 2013 - For this update I've added a fun article/quiz called Are You The Girl For Victor Mature? Here are three pages of all of the great Victor photos that were posted on his Facebook pages this past year. Page 1, Page 2, Page 3. Victor's upcoming movie schedule can now be found at TVGuide. You can customize the search to your viewing area. Check out the fantastic Victor videos below! Thank you to Victoria for the links! Here is an interesting article about the LOUISVILLE PALACE. Here are two pages about Victor in the Coast Guard: VICTOR COAST GUARD PAGE and Victor Coast Guard Page 2.